The Ninjago line is one of Lego’s most popular brands, a fact that’s especially surprising given that it actually appeals more to real kids than the kids-at-heart who are willing to spend hundreds of dollars on some of the more ridiculous Star Wars Lego sets. 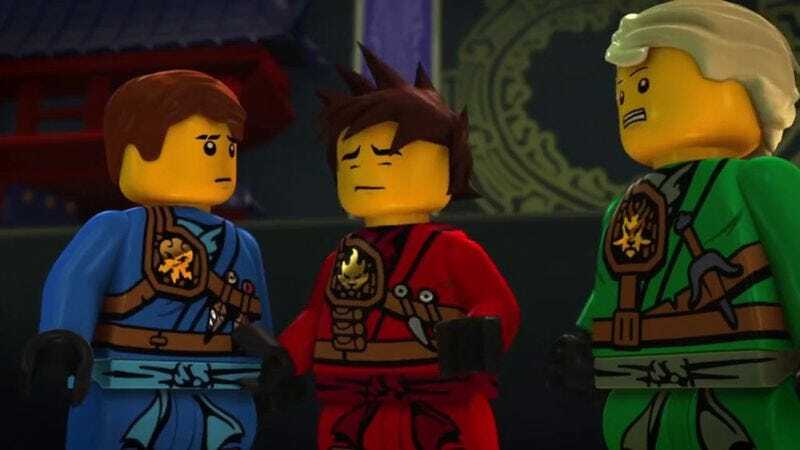 There have been Ninjago video games, comics, board games, spin-off toys that don’t technically use Lego bricks but still carry the Lego name, and a long-running TV show centered around characters who appear in the physical Lego sets. Now, there’s going to be a proper Ninjago movie that will adapt that same “storyline” (i.e. toys) as the cartoon, and Lego fansite Brickset has uncovered the film’s primary voice cast. According to some kind of licensing-related flyer, Jackie Chan will be playing the Ninjago leader, Master Wu, with Dave Franco, Michael Peña, Abbi Jacobson, Kumail Nanjiani, Zach Woods, and Fred Armisen playing the six members of the Ninjago team. They’ll be replacing the voice actors who play these same characters on the show, but some voice actor isn’t going to sell tickets like Jared from Silicon Valley will. Kids love Jared from Silicon Valley. The Lego Ninjago Movie will be in theaters in September of 2017.